STEP INSIDE THIS AMAZING ETHERIDGE LAKES BEAUTY AND YOU WILL KNOW YOU HAVE FOUND YOUR NEXT HOME. EVERYTHING ABOUT THIS PROPERTY SAYS "WELCOME HOME" FROM ITS PRISTINE CONDITION TO THE AMAZING SCREENED PORCH THAT WILL ENABLE YOU TO ENJOY YOUR BACKYARD ALL YEAR ROUND. THIS HOME HAS ALL OF THE HIGH END FINISHES THAT THE MOST DISCRIMINATING HOME OWNER DESIRES. THESE INCLUDE GLEAMING HARDWOOD FLOORS, GRANITE COUNTERTOPS IN THE KITCHEN AND ALL BATHROOMS, AND STAINLESS STEEL APPLIANCES. 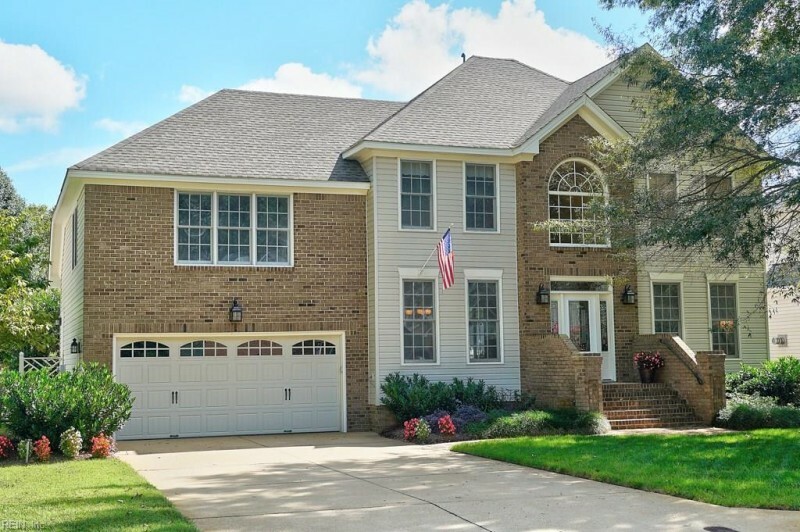 ETHERIDGE LAKES IS LOCATED IN ONE OF THE MOST DESIRED NEIGHBORHOODS IN ALL OF CHESAPEAKE. IT ALSO BOASTS EASY ACCESS TO THE 168 BYPASS, PROVIDING EASY COMMUTES TO ALL OF HAMPTON ROADS. Ready to visit 733 Denham? Request a free property tour! Send me more information about the listing at 733 Denham, Chesapeake, VA 23322, MLS# 10240104. This 4 bedroom, 3 bathroom home located at 733 Denham, Chesapeake, VA 23322 has approximately 2,972 square feet. It is currently listed for $440,000 and has a price per sqft of $14,805. This home is currently Sold under the MLS#: 10240104. This listing is provided by The Real Estate Group. 733 Denham Arch, Chesapeake was built in 1997. It has Garage Att 2 Car, Driveway Spc parking.The kitchen includes Dishwasher, Disposal, Dryer Hookup, Microwave, Elec Range, Washer Hookup. 733 Denham is part of the Etheridge Lakes neighborhood located in 23322.